I'll update this post with a list of changes soon. This mod aims increase texture detail while retaining the original look of the game. This version contains 1364 txd files, all of which have had each image A.I Enhanced. Some of these textures are not PC originals and have been replaced with XBOX, PS2 and Mobile counterparts, as these contain higher resolution originals or fixes for some of the broken PC textures. I've also manually fixed some artefacts caused by the up-scaling in clouds, wheels and particles. XBOX Number plates for all vehicles. Multiply basic ground textures as they can still appear blurry or stretched. Fix some of the lower resolution signs and billboards as most of the words are now an indecipherable mess. Enhance and Implement some of DimZet's high resolution XBOX and road textures. Very nice, i've seen it before on moddb. will you use these textures? Those road and ground textures are really good, I might use some of these when i release the updated version. 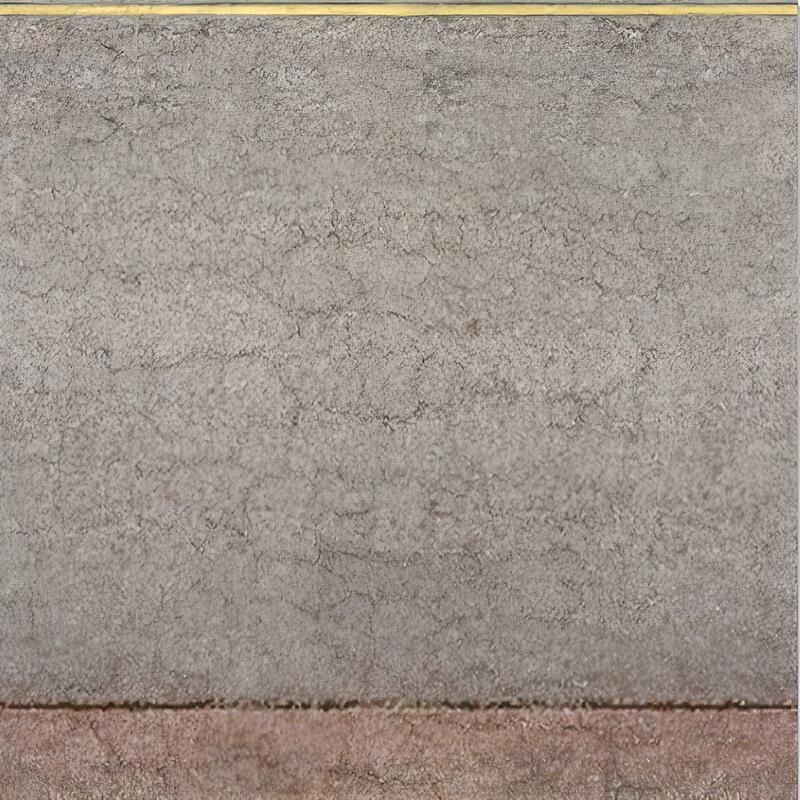 I enhanced one of the road textures for comparison (468 x 468 > 1872 x 1872). There's a good chance i'll be using them in the next version. Looks nice. I am doing a similar thing for my GTA IV LC to V port. I've got many fixes and enhancements, see below for a complete detailed list. I received a lot of messages regarding installation and crashing. For this version I will be including SilentPatchVC and SkyGfx, this should make installation for less experienced modders a Drag & Drop kind of deal and allow me to optimise the visual settings. Foliage has been improved again, the mobile textures used were larger in size than intended, which caused them to appear pixelated and blurry, I've correctly downsized and AI enhanced them all which has worked much better than previous attempts. Particle effects have been improved some more, some of the smoke and water didn't scale too well and had grey artefacts on the edges, this has been fixed by making them all white and transparent manually. Lights and and bloom has been improved, there were some gamma and dithering artefacts which didn't look nice, this has been fixed by AI enhancing the XBOX effects which are more clean than the PC/PS2 versions. 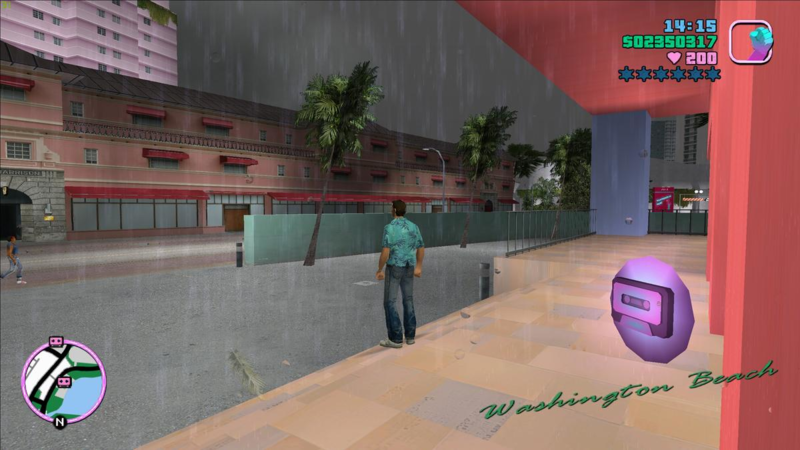 Ground textures have been improved, some of the ground textures in Vice City are stretch over large surfaces such as car parks, grass and alleys (a good example is the vice city airport). Version 1 improved this slightly but they still appeared blurry. 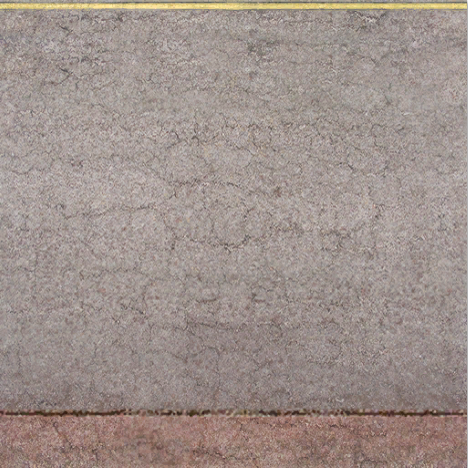 I've spent quite some time manually finding and multiplying ground textures X4. This will shrink the ground textures down to a more realistic size and blend together with road and other surfaces more seamlessly. If you were unlucky enough, you may have come to a point where the road and building textures stopped loading, this was caused by some memory streaming limitations, I believe i have fixed this with some changes to the limit adjuster. I've rebuilt all the textures to use MipMapping which should improve performance for anyone with a toaster PC. It should also improve texture quality over longer distances. The only downside to this is a larger download compared to Version 1. I've also got many small fixes and improvements across the board, such as applying the PS2 banner to the Dodo and XBOX style number plates applied to all cars. @Silent for the inclusion of SilentPatch. @The Hero for the use of SkyGfx. I've finished everything in the previous reply and implemented some of @DimZet's texture's. I've also created some new one's using his source files. All vehicles have XBOX style number plates and every texture is utilising MipMaps. 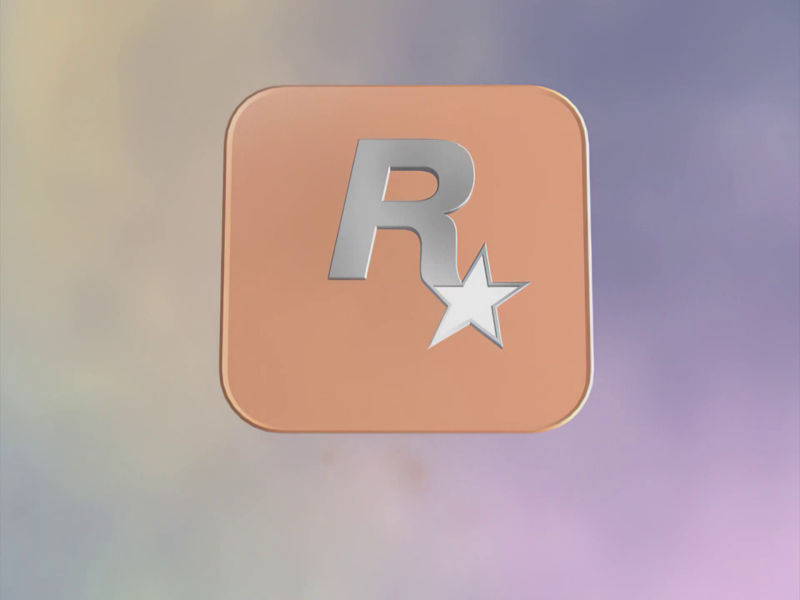 I'm also going to include optional AI Enhanced load screens and possibly (if i can convert it correctly) AI Enhanced rockstar/intro videos. 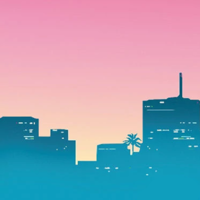 Snapshot of the 1080p intro video working in-game (old vs new). Kinda hard to convert to .MPG and retain the video quality, the MP4 codec crashes or displays nothing startup. EDIT: I will release the new intro videos at a later date, i'm having streaming issues when they're played in-game (might be too big). It's good to see you go back on this and work out what's wrong, the initial release is clearly PC/Xbox textures ran through the AI without considering there's better versions of those textures available (in some cases, even within VC itself, you've used a scaled version of kbtree3_test in generic when a better version was available in golf_palms for example) along with the neons being scaled from the DXT compressed versions when the PS2 versions are better to use. Looking forward to see how a more focused version of this turns out. Yeah, there are still improvements to be made. 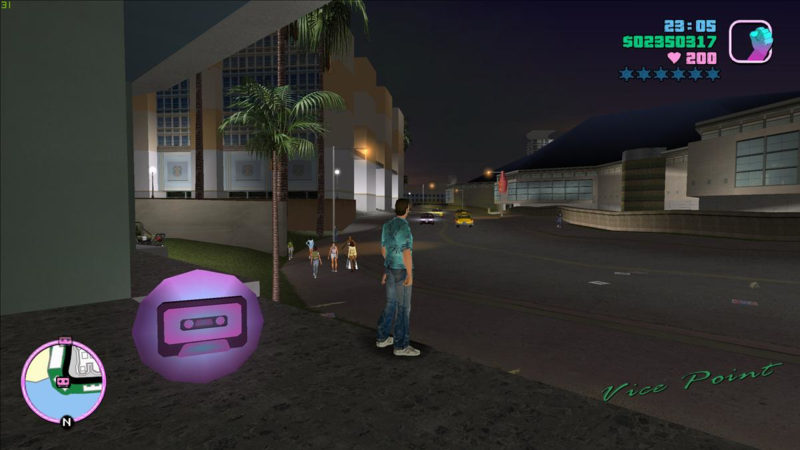 Vice City has a lot of bad quality textures in comparison to the other games (see wheel textures compared to GTA III). I might finish work on the GTA III version before starting work on Version 3. You use ESRGAN or Gigapixel?